Applications : Plastic Processing, Packaging, Ovens, Water Bath, Furnaces, Heat sealing, etc.. Features & Specifications :Make : MinilecModel : WLCD1Auxiliary Supply : 24 VAC/DC/100-120/220-2.. Features & Specifications :2 setpoints, Relay / SSR selectable for control outputAuxiliary outpu.. Features & Specifications :Display Type : LEDDisplay Configuration : 4+4 digitsType of Inputs : .. Features & Specifications :Auxilary Output-Relay , Supply Voltage- 85-270 VAC/DC, Output voltage.. Features & Specifications :Auxilary Output-Relay, Supply Voltage-85-270 V AC/DC2 setpoints, Rela.. 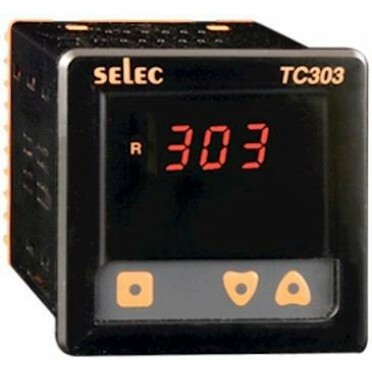 Features & Specifications :Supply Voltage : 85-270V AC/DCSingle setpoint, Relay / SSR selectable.. Features : Highly efficient and accurate due to its advanced microprocessor technology Features ho..